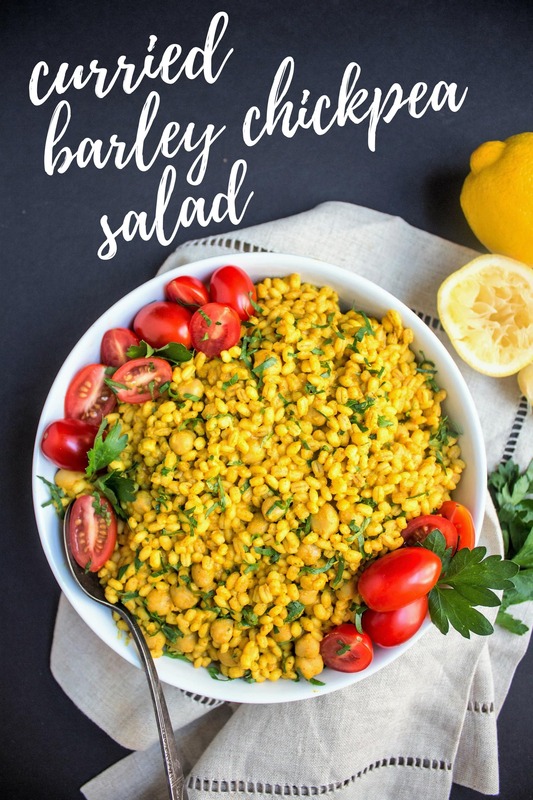 This Curried Barley Chickpea Salad is easy to put together and makes great leftovers for lunch for the week! 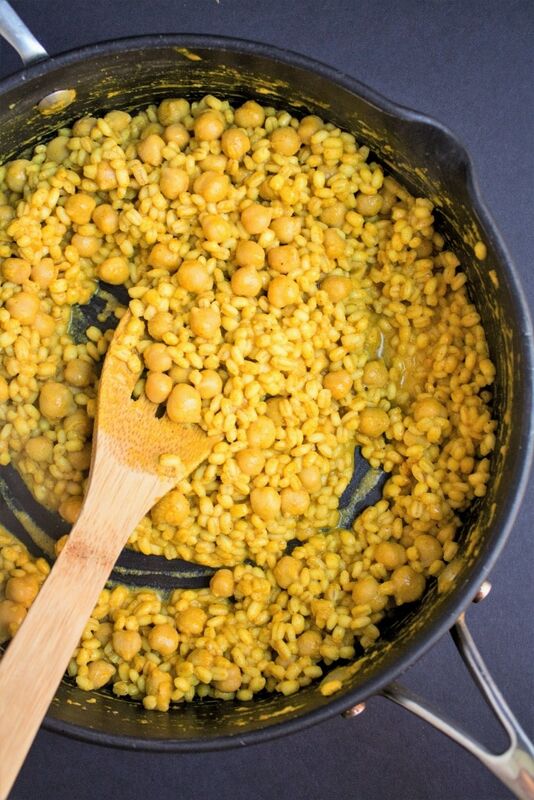 It’s super flavorful, and the chew from barley makes it so satisfying. 1) Cook barley in water according to package instructions. Set aside. 2) Combine rest of ingredients in a deep pan; saute together on medium high for about 5 minutes. 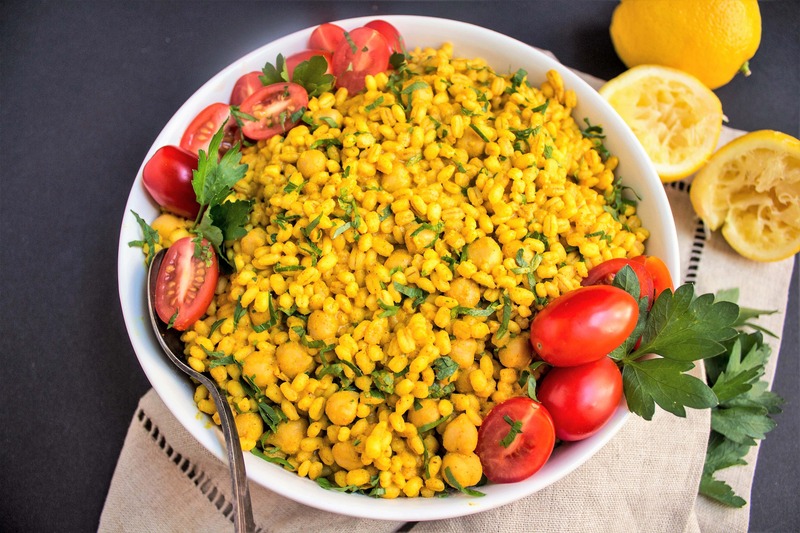 If you liked this recipe, check out some of my other favorite grain salad recipes, too! I made this today!! It was really good and easy. I added some chopped spinach and tomato. 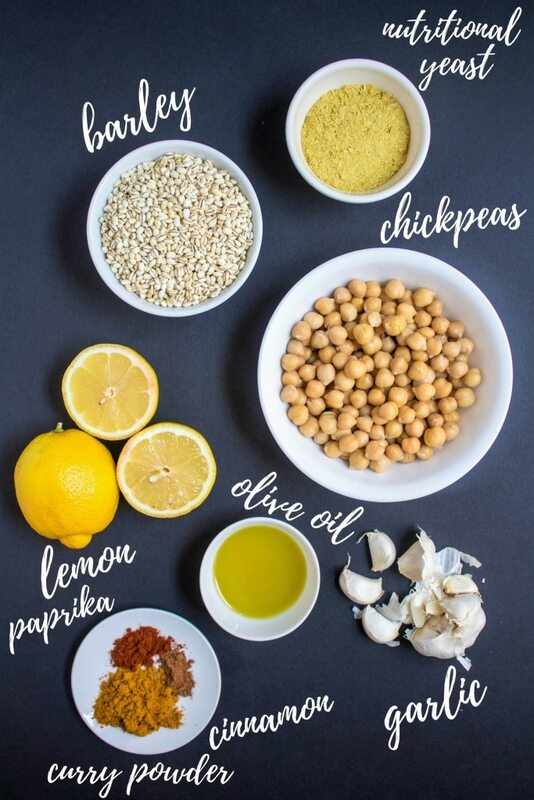 This recipe is a keeper for sure!! I am going to pre-cook a whole bunch of barley and freeze it so I will have it on hand to make it after work. Looks great with the tomatoes… and is that parsley or cilantro?? How much did you add? Parsley, just a little as a colorful garnish :) It’s not part of the official recipe! Hi Anne!! I wanted to print this great recipe, …so I clicked on ‘printer friendly’…. and it’s a good thing I checked the preview…. otherwise it would have printed out 9 pages!! … and ‘only’ 5 pages if it was on both sides!! Yikes!! Did I not click on the right thing?? Thanks for your yummy, healthy recipes… & your upbeat motivation & inspiration!! Hi Carol! When you click on the print friendly option, at the top there is an option to remove the images – select that and it will be down to about 1 page with just the text! :) Enjoy! 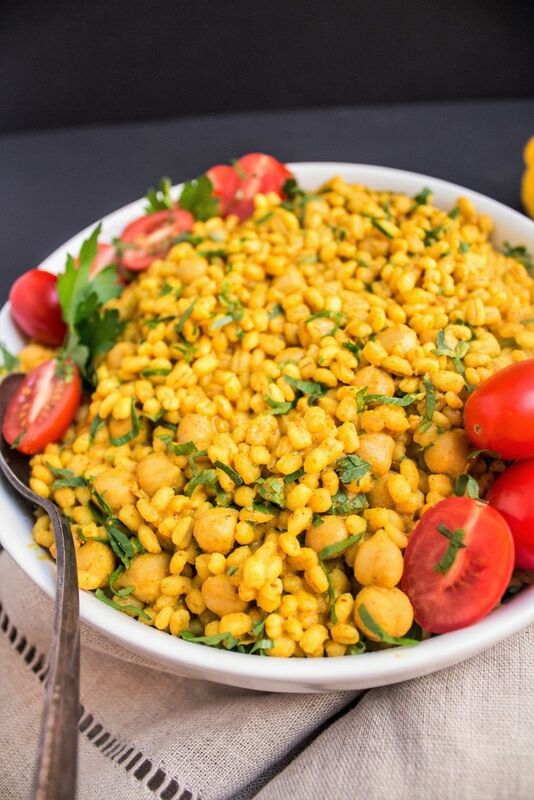 Did you pour the water from the chickpeas in as well?? I’m excited to try it. Is it a good leftover? You can eat it alone or with meat! It’s good atop salad, too. And it’s good cold or warm – whatever you like!